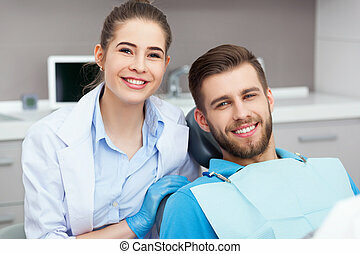 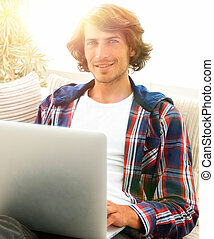 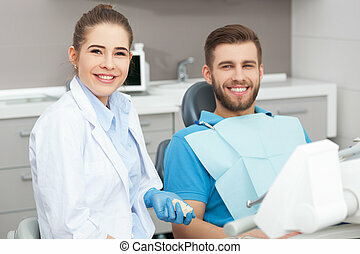 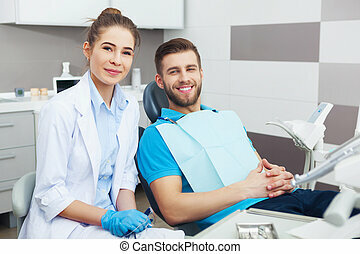 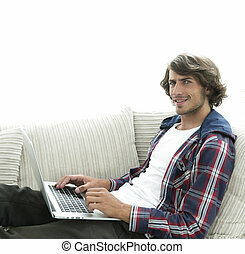 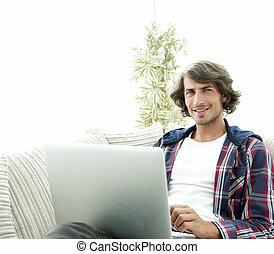 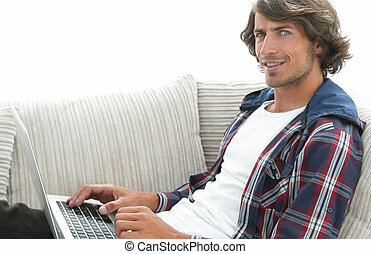 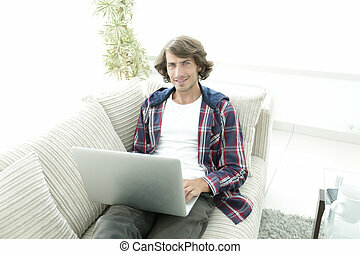 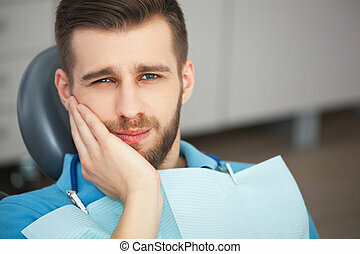 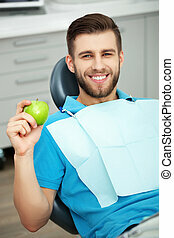 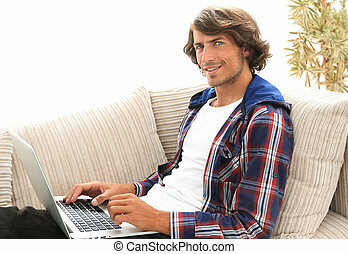 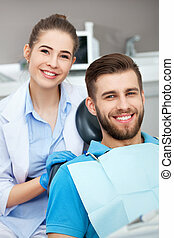 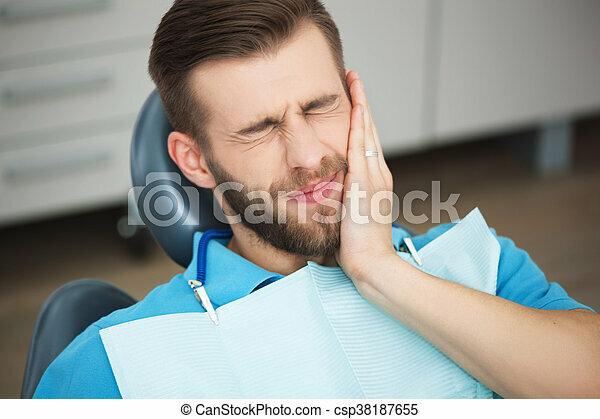 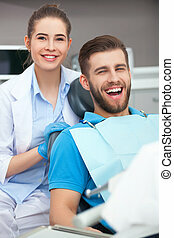 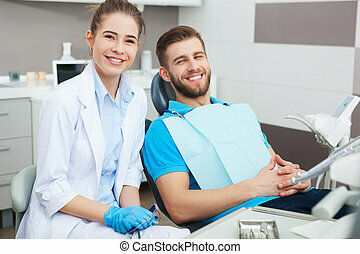 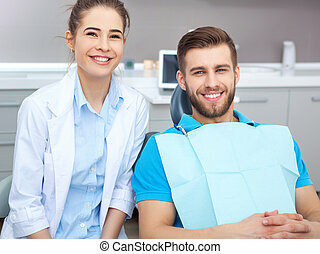 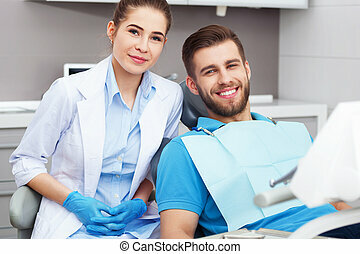 Portrait of young man with tooth pain sitting in a dentist's chair. 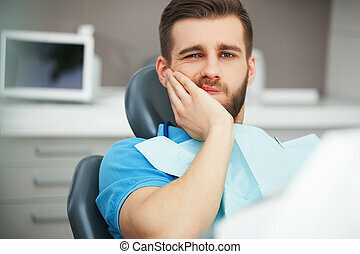 Shot of a young man with tooth pain while sitting in a dentist's chair. 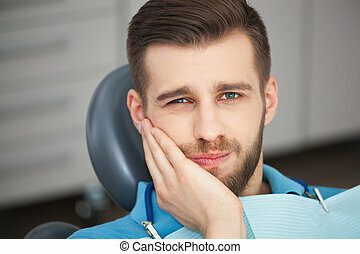 Portrait Of Young Man With Tooth Pain Sitting In A Dentist's Chair. 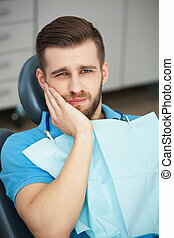 Shot of a young man with tooth pain while sitting in a dentist's chair. 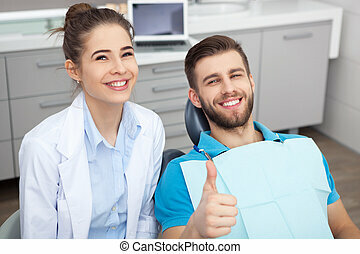 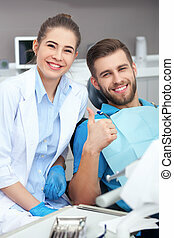 Portrait of a young man sitting in a dentist's chair giving a thumbs up.